One night nine years ago, Erica and Neal were reluctantly convinced by friends to attend a party in Hollywood. What had felt like an obligation was transformed when the two met and instantly bonded over Bukowski and Dylan. Neal followed through on a promise to call her the next day and they've been together ever since. 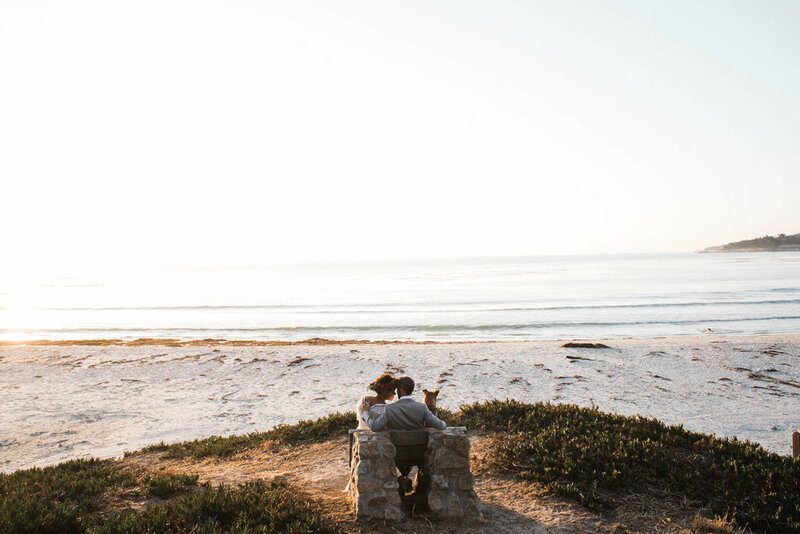 Years later, the LA-based couple entered the world of wedding planning, heading towards a big event with lots of moving pieces. When family circumstances put their plans on pause, they used the time to reevaluate. What they really wanted was a small celebration, an intimate ceremony with family and dearest friends. 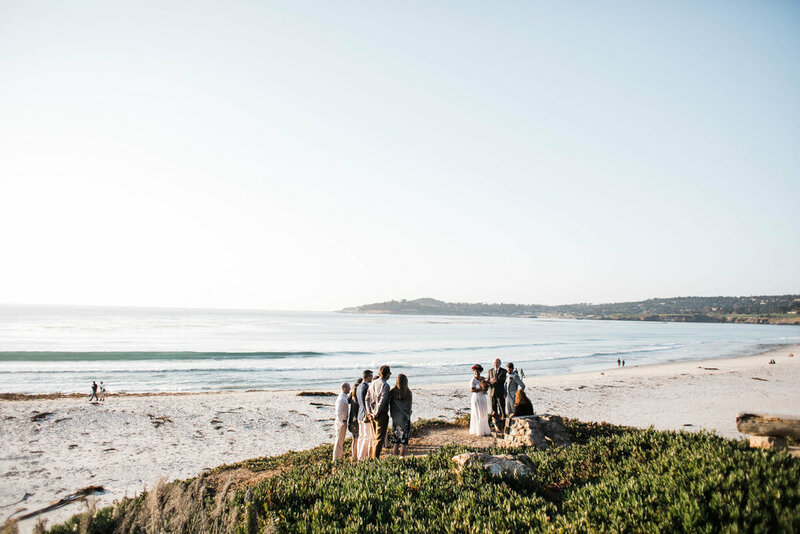 A new program developed: a drive up the coast, an elopement on the beachside cliffs of Carmel-by-the-Sea, a weekend of wine, food, and family, concluding with an intimate dinner party at Folktale Winery in Carmel Valley. 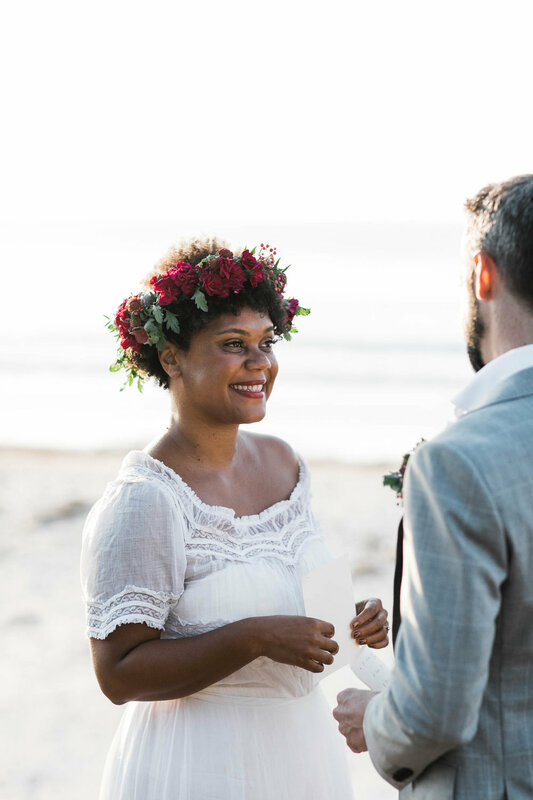 Their wedding date was set for late autumn, which allowed for the perfect lucky combination of clear bright skies and mostly-empty beaches. 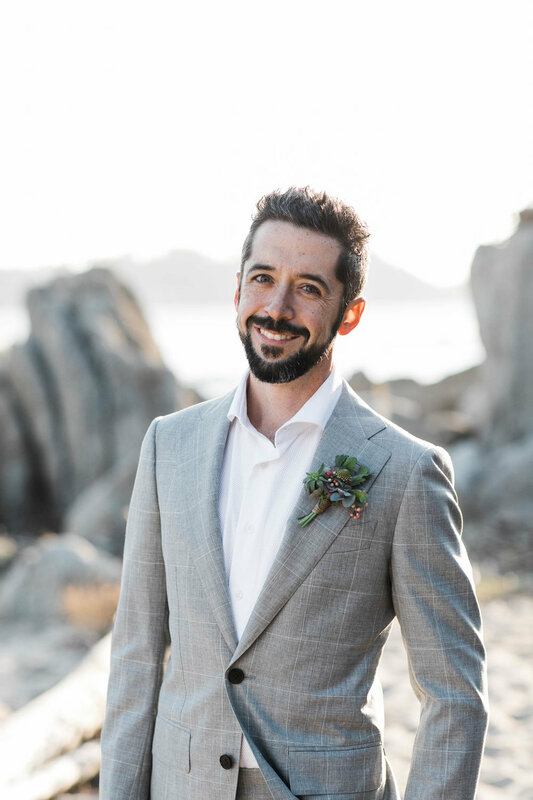 In front of 10 closest friends and family members, Neal's father officiated, assisted by the couple's adorable Shiba Inu mix, making the sweetest family of three official. Click here to see their elegant dinner party at Folktale Winery!